Most businesses already understand the importance of email marketing—everywhere you look you’re being told to collect email addresses and contact information so that you can leverage the power of “relationship building” with prospects and current customers. We take email marketing and email automation one step further by crafting a message that fits into your sales funnel strategy and automating that message with reactive marketing based on the actions your prospective customers and current customers take. Our email automation and complete done-for-you email marketing service allows you to set and forget relationship building, new prospect interaction, and the software processes that allow you to optimize email communication. We’re not going to put together a “newsletter” for your business—not only is the email newsletter overdone, but it’s also the direct opposite of what your potential and current customers want to hear. Segment your email list based on the actions your subscribers take and the information they would like to hear from you. List segmentation can allow you to deliver custom messages to specific sub-sets of subscribers. Automate email marketing processes with software tools that we will set up, maintain, and manage so that you can sit back and run your business without having to worry about crafting a message that fits your marketing strategy. Integrate email marketing with your current sales funnel (or a sales funnel we develop for your business), addressing the concerns, problems, and objections that your customers care about so that you can close more sales. Develop a cohesive and powerful message that is persuasive without being overbearing, unappealing, or disruptive. All too often we see marketing strategies fail when email marketing turns to spam instead of an informative process your customers want to participate inn. Re-engage past customers with a custom message that turns them into “evangelists” ready to talk about your brand on social media and increase exposure for your business at no cost. 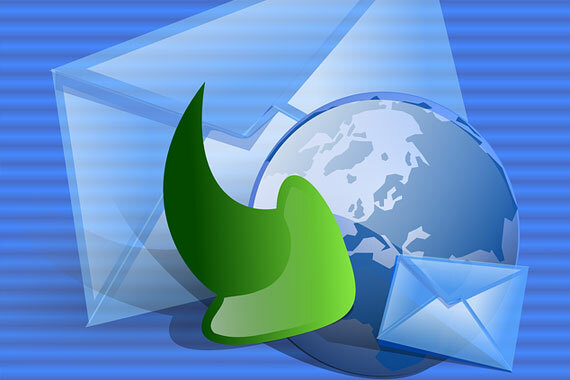 Contact us today so that we can create a custom email automation strategy tailored to the demands of your business and your customers. From software set up to message development and testing, Powerhouse Internet Marketing has the resources to handle every aspect of your email marketing needs. In addition to email automation, we offer custom sales funnel development, copy-writing, and complete campaign consultation. When you call for your free consultation today, we’ll be able to show your business exactly how to take advantage of email marketing automation by itself, or within the context of the other services that we provide. Email marketing (the right way) is one of the most affordable ways to increase customer value and revenue while reducing overall marketing cost. All too often we see businesses implement email marketing strategies that don’t take into account the basic principles of copy-writing for customer engagement, list segmentation, and message development based on specific customer needs and actions. Yes, you can purchase an auto-responder subscription and a list of messages that you “absolutely need to send” to your customers, but until you understand how to effectively manage the full power of your auto-responder or craft a message that answers customer objections while articulating their specific pain points, you’ll be wasting your time and money. Sit back and leave the work to us! Our team of email automation experts, copywriters, sales funnel developers, and internet marketing consultants is ready to show you a new way to put customer relationship development on autopilot. You already know that email marketing is one of the most important aspects of growing your business. Now is the time to understand how to integrate email marketing into your overall growth plan and automate the process with the latest tools and trends. Complete the information form below or contact us today to schedule your free consultation. We’re ready to answer your questions and create a custom marketing plan for your business based on your specific needs and goals.